In discussing website marketing, there are several number of search engine optimization tools can be used, which are very helpful in this undertaking. 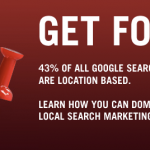 This is one of the most important undertakings that you can do to get online visibility, especially with the major search engines changing their algorithms all the time. Here are the SEO tools to improve your site and take it steps higher in SERP rankings. While this is not one of the most popular SEO software today, your eyes can do a lot in helping you gain insights on the best tools to use. Look around a site and see why it ranks higher in the page ranking by going through its flows and how it works. Look for possible improvements that you can implement for your site and veer away from things that do not look good as well. The grandfather of best practices for SEO, and it is the professional account of SEOmoz that allows you to handle your SEO by giving recommendations as it daily analyzes your site regularly. Users can easily download a toolbar for free that will regularly displays the SEO metrics of different websites as you browse online; and provide other benefits as well including the help forum and the beginners guide to SEO. The IIS SEO toolkit is a complimentary SEO instrument that lets you to examine the SEO aspects of your site from its URL, content, search engine spiders, and structure. It can clearly shows issues that you might have overlooked, for instance; when the link of a page is broken or if the title in the certain page is too long. In addition, you will see these errors with an X colored in red, so you can easily see and correct them. It is another tool for SEO that comes in free and paid versions that you can download and install to your computer like MAC, it helps spiders or crawl your website’s CSS, links and pictures using from the SEO perspective. If you have other concerns like 302s, it sees that as well and share it with your developer so they will fix it. One of its good features includes exporting your Meta descriptions, page title, and links to Excel document to provide you a clear analysis to base its recommendations from. Offering a tough set of connection tools, this tool allows you to evaluate and check any domain in granular point. Some of its best highlights include site explorer so you can plummet down into any link; keyword checker for you to see how many times a keyword or phrase shows and provides the search level based on organic figures; and backlink history so you can discover the amount of backlinks given to a URL, domain, and sub-domain. This is simple SEO tool that is easy to use as provides one field to populate as you key-in the link and go. The analysis of the site is done fairly quick and easy; while helpful clarifications and recommendations come in rollover help pop ups for each section and if the analyzed results return with results flagged as red marks; it will display complete directions and reasons as well as suggestions on how to resolve them. It is another no cost charge tool that is recommended for those who are into online marketing, Google Analytics allows you to understand what your website is doing on a daily basis. It can also let you see traffic spikes and identify how it influenced your site before and after, as well as where is the referral traffic are coming from. For those who are doing a research in keyword based in competition , this is the perfect tool as it gives you intuitive information on certain keywords that actually drive traffic to your website. In addition, it also provides details about your competitor’s paid search keywords, traffic data, and ranking. This is not only free but is also very useful if you want to know how Google perceives the site that you own and manages. It can also make you alert of site issues such as 404s, as well as if it has been virused with malware. A great tool for site owners; it was devised to notify webmasters on how the Google bot is relating with their website. This is another complimentary tool that allows you to see how your website is doing from Bing’s standpoint. It is fairly easy to use with a clean interface. On its main account dashboard page, you can select whatever site you want and see a quick statistics on clicks, impressions, pages indexed, and pages crawled with percentages account for net gain or loss for the week. If you are centering on redirects, this SEO tool can easily look at the header of the server and detect redirects and follows as well as points out problems significant to your site’s operation. It can also be very useful if you want to know how your contenders’ websites are doing. It is an extra tool intended for keyword research that allows you to see the alternatives of a keyword or phrase, Google Trends can also be an enormous instrument to brainstorm content. This is also a great help if you want to generate or produce optimized content for advertising messaging and explore seasonality to find out how certain keyword phrase performs versus the other. While this is a paid tool, it gives useful details within your sphere by providing keywords in your space. It also provides daily rankings of the world’s most popular websites by monitoring the activity of the surfers, as well as the profiles, searches and charts of various websites. If you want to know how your competition is faring on their server, this is the best tool that allows you to see if they have place a new sub-domain before it commenced. Besides getting classified information, this will also help you investigate at their site and check their code to see how they are executing stuff, a great spy tool indeed. Nice post, this is very important to the people who is doing seo. and i know a good backlinks checker to help promotion websites, http://siteexplorer.info is totally free and no limit, and it is very professional. Great list of tools man! SEOMoz, Majestic SEO every one of them are useful, thanks for sharing this valuable info here. Yes Informative share at all but I am searching like this SEO tools that provides me a long service of back links . What about RavenTools? I think they’re probably one of the most complete subscription services for tracking SEO, analytics and social media. No doubt these are tools most of the internet marketers are using to aid their efforts. Thanks for summing them up Ali. sach as a nice article thank you for this info !